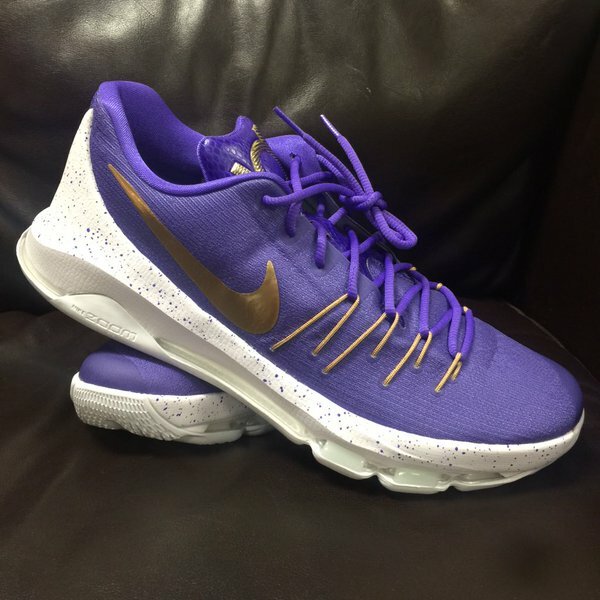 Shirts With Random Triangles: LSU Shows Off Its Players' NewCustom Purple KD 8s. Just so you don't think LSU football is getting its priorities out of place, here are the shoes the Tigers will be wearing on the field. LSU will be facing Texas Tech in the 2015 Texas Bowl on Dec. 29. It's doubtful Red Raiders players are getting red KD 8s, as Texas Tech is an Under Armour school.